D-Will made his pitch to Dwight Howard loud and clear sunday night. 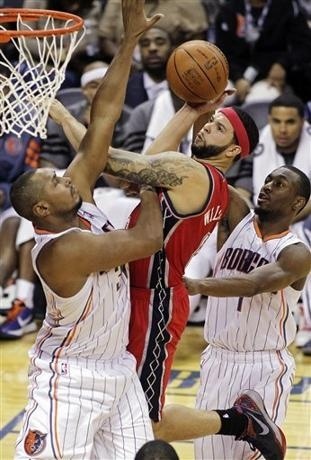 New Jersey Nets point guard Deron Williams scored a career high and NBA season high 57 points in a 104-101 victory over the Charlotte Bobcats. Williams made 16 of 29 field goal attempts including 4 three point field goals. Williams was a perfect 21-21 from the free throw line. Along with his 57 points Williams had 7 assists and 6 rebounds.